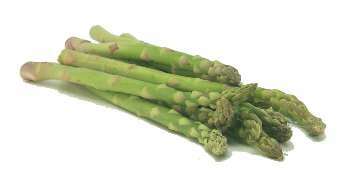 Asparagus has a wonderfully distinctive flavor and a meaty texture. 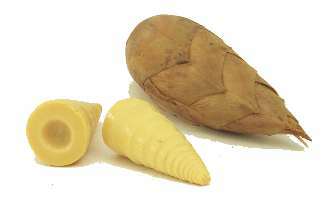 It's often served as a side dish, after being steamed or briefly boiled. Better cooks insist that it be peeled first, but many people skip this step. 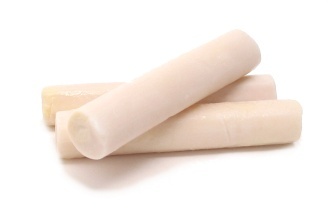 To remove the tough base, simply snap the asparagus in half with your hands. 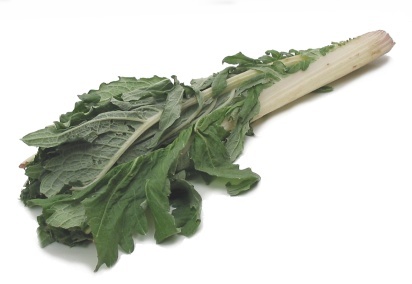 The stalk should break right about at the point where it starts getting too tough to serve to company. 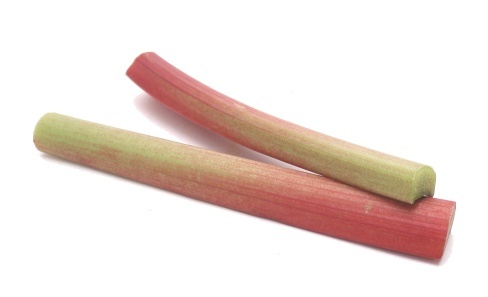 There's a purple variety, but it turns green when it's cooked and so loses its novelty. 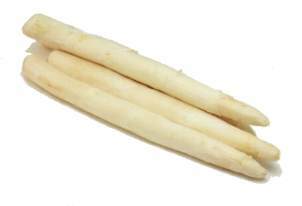 White asparagus, on the other hand, is more tender than green, and more expensive. 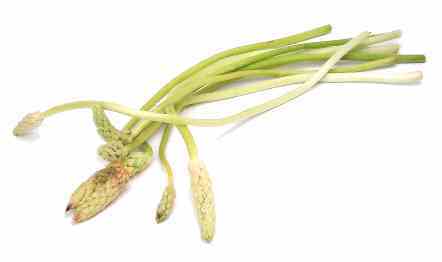 Asparagus is often available year-round, but the best time to buy it is in the spring. 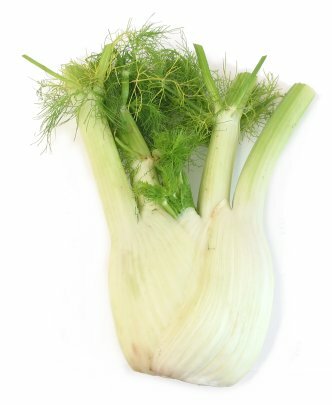 fennel = finocchio = Florence fennel =bulb fennel = garden fennel = sweet fennel = (incorrectly) sweet anise = (incorrectly) anise Equivalents: 1 cup sliced = 87 grams; 1 bulb = 2 1/2 cups Notes: Fennel tastes like licorice or anise, and it's commonly used in Italian dishes. 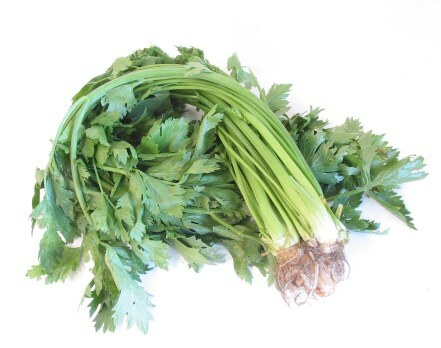 It's very versatile; you can sauté it and add it to sauces, braise it as a side dish, or serve it raw as a crudité. 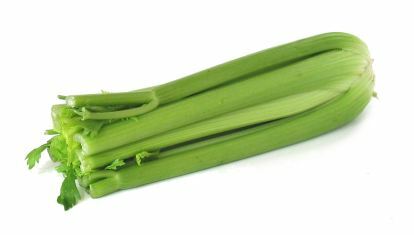 Substitutes (for fennel bulb): Belgian endive + 1 teaspoon crushed fennel or anise seed OR celery + 1 teaspoon crushed fennel or anise seed (celery takes less time to cook) OR celery + chopped onion + crushed fennel or anise seed (celery takes less time to cook) OR celery + Pernod, Ricard, or anisette (celery takes less time to cook) OR udo OR celery (celery takes less time to cook) Substitutes (for fennel leaves = fennel feathers): unsprayed avocado leaves OR hoja santa leaves OR parsley Notes: For more information, see the Wegman's Food Market's page on Fennel.